What does your fuel provider bring to the table? 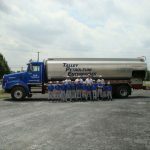 Talley Petroleum Enterprises brings decades of experience in providing prompt fuel delivery to customers across Pennsylvania. Our broad experience is matched by high-volume capabilities, competitive fuel pricing, and professional, friendly service. Choose Talley Petroleum for home heating oil delivery, commercial fleet fueling, on-site storage solutions, wholesale purchasing, and more. After working in the fuel oil industry for several years, the late James A. Talley, Sr. decided to strike out on his own by delivering kerosene. In 1961, with one truck and limited funds, James started City Suburban Oil Company which he ran successfully for over three decades. Talley Petroleum Enterprises, Inc. was founded in 1997 with the focus of growing and progressing into other areas of the oil business. With this process came the acquisition of several other firms. These acquisitions allowed Talley Petroleum to expand our services, improve our reach across Pennsylvania, and achieve greater operational efficiency. As of 2016, Talley Petroleum incorporated a full-time trading department in house to analyze the market, reduce risk, and purchase fuel in the most economically sensible manner. We have also branched into selling distillates to wholesale customers from various terminals across Pennsylvania. These components of the business allow us to generate additional savings and offer customers an even greater value when they choose to do business with Talley Petroleum. 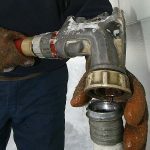 See why homeowners, business owners, wholesale customers, and municipalities across the state trust Talley Petroleum to get the job done. The search for the best quality fuel at the best price in PA is over! Talley Petroleum is pleased to carry a full line of liquid petroleum products. 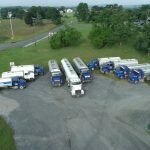 Check out our extensive service area that reaches customers across the Mid-Atlantic.